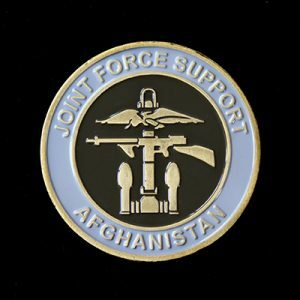 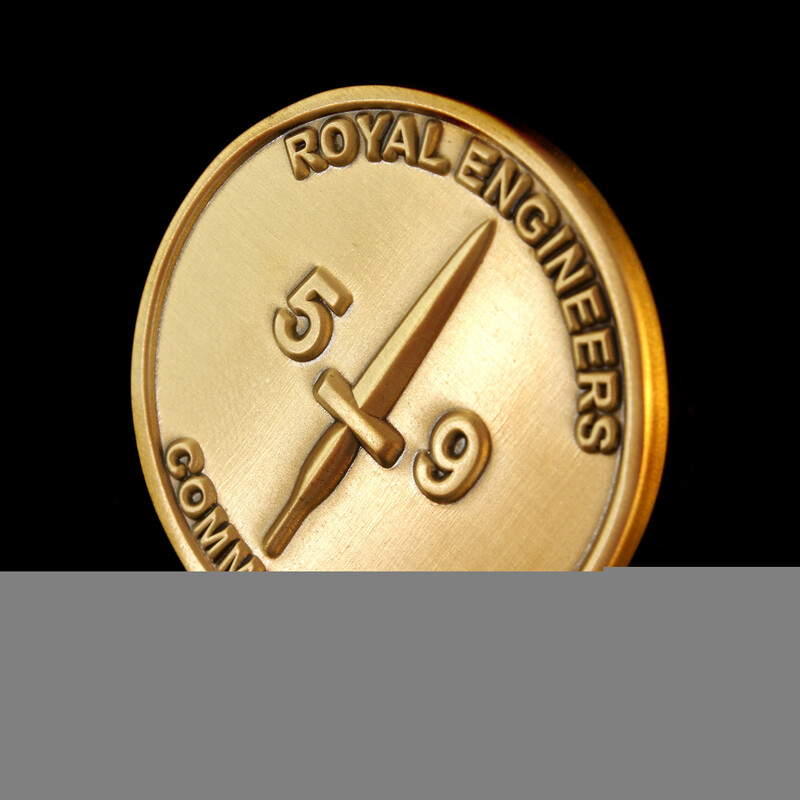 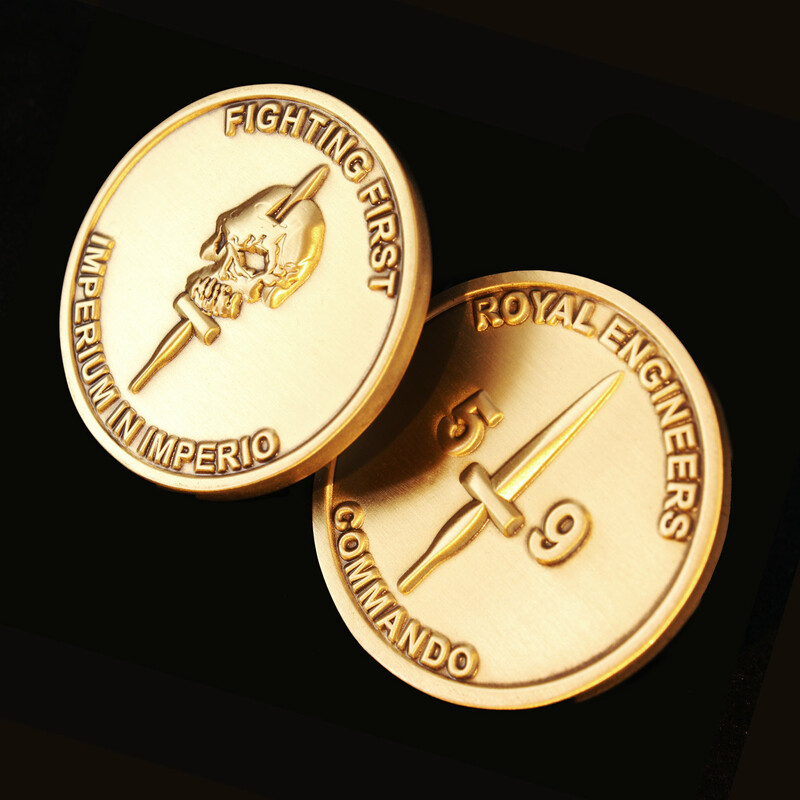 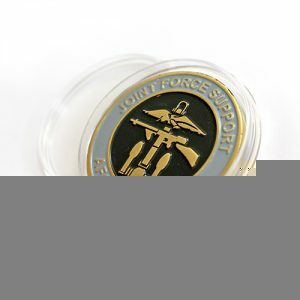 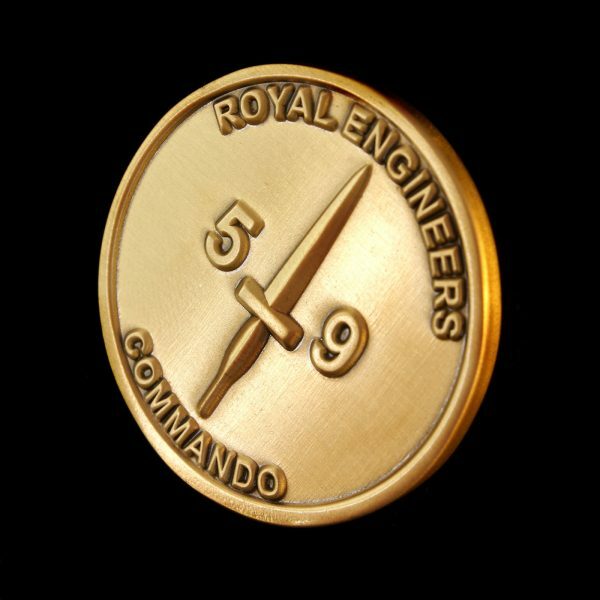 This custom commemorative coin was produced for the 59 Independent Commando Squadron Royal Engineers in 2018. 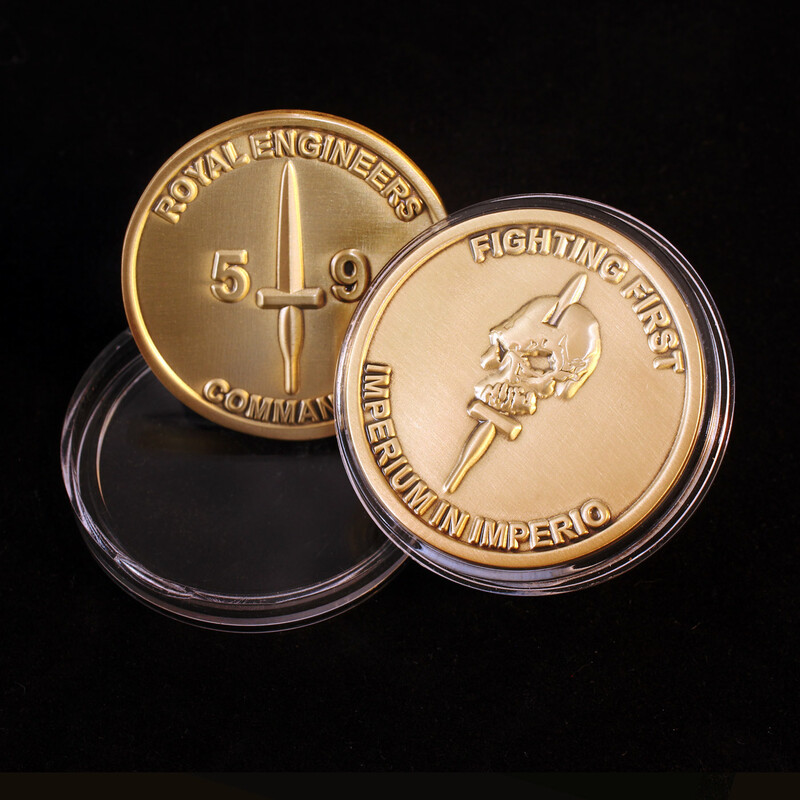 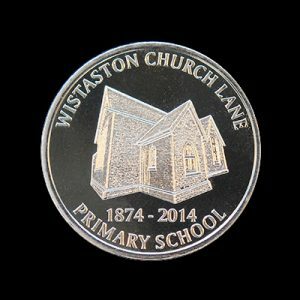 The coin measures 38mm and is gold in colour with an antique smooth finish. 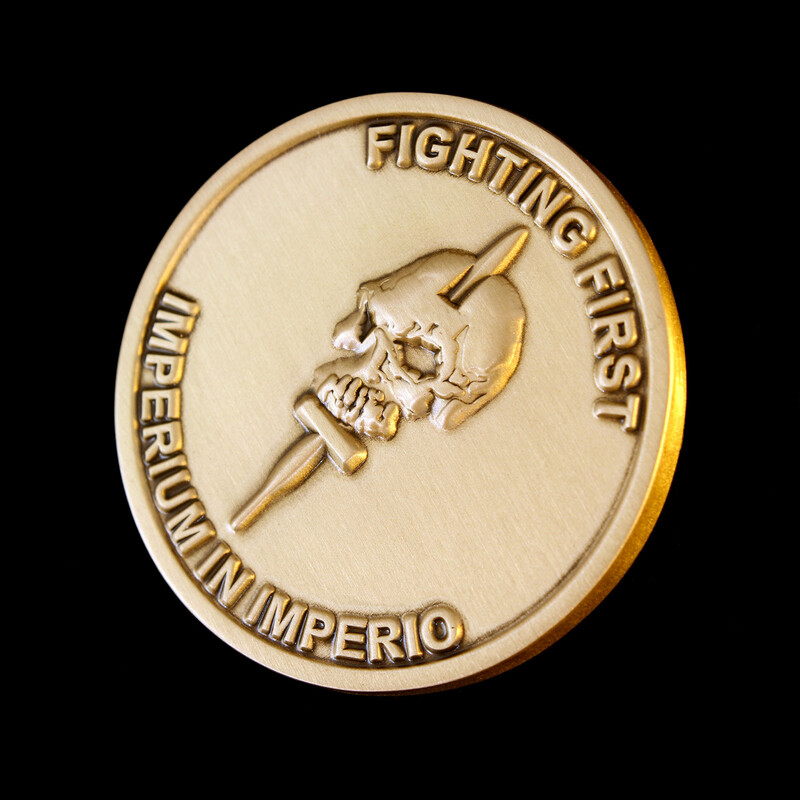 The words ‘Fighting First’ and ‘Imperium in Imperio’ [an empire within an empire] encircle the image of the dagger so famously associated with the Royal Marines Commandos. 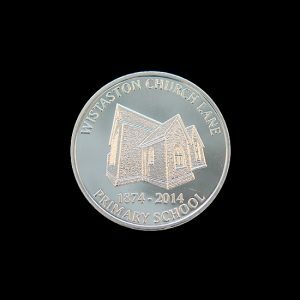 Each coin comes in a protective clear capsule to prevent tarnish.